The Indian Association for Big History (IABH) emerged out of the interaction of a group of scholars who worked together to produce the landmark collection, From the Big Bang to Galactic Civilizations: A Big History Anthology (2015–2017). During the process of editing the three volumes, it was proposed to form an Indian association for big history. 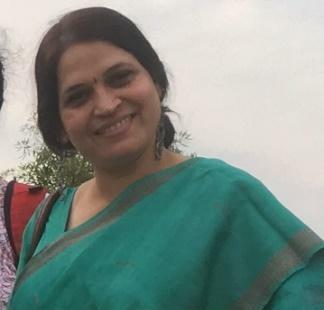 Anita Patanka, director of the Symbiosis School for Liberal Arts (SSLA) in Pune, Maharashtra offered it a home at her institution in 2016. IABH meeting, SSLA, 29 November 2016. 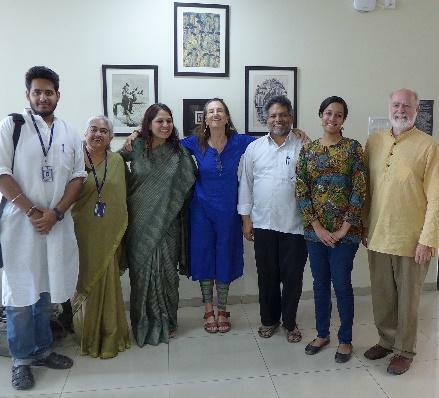 Our founding members were archaeologist Shweta Sinha Deshpande and historian Afshan Majid (Symbiosis International University, Pune); geographer Rana Singh (Banaras Hindu University, Varanasi); ecologist Robert Athickal (Tarumitra, Patna); educator Orla O’Reilly Hazra and theologian Prashant Olelaker (St. Xavier’s College, Mumbai); physicist Priyadarshini Karve (Samuchit Enviro Tech, Pune); anthropologist Siddhartha (Fireflies Intercultural Centre, Bangalore); philosopher Ananta Giri (Madras Institute of Development Studies, Chennai); science philosopher Mathew Chandrankunnel (Indian School of Ecumenical Theology, Bangalore); and management director Subhash Sharma (Indus Business Academy, Bangalore). Barry Rodrigue, an anthropologist from North America, served as the group’s coordinator and secretary, joining the faculty at SSLA in 2017. 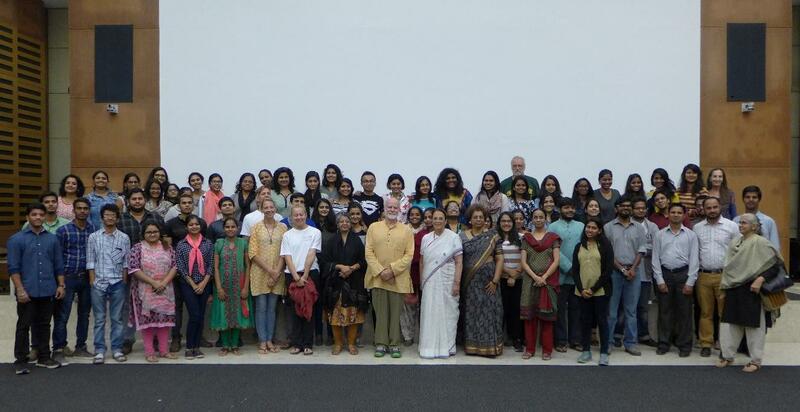 In 2018, the first course in Big History in South Asia began at SSLA. The course grew out of SSLA’s Anthropology Department and its core course, ‘History of Man: From Ape to Alexander’. 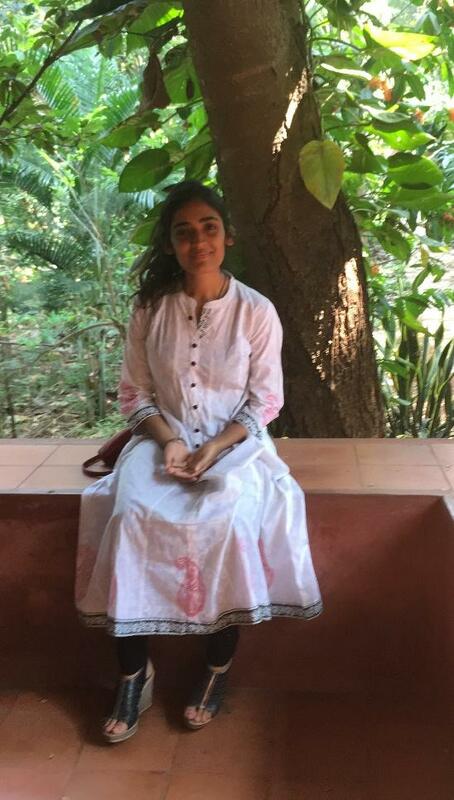 Today it is co-taught as ‘Humanity and Big History: Our Challenge for Survival’ by historian Afshan Majid and physicist Priyadarshini Karve, a required course for all third-year undergraduates. In March 2018, SSLA sponsored the First Annual Conference of Interdisciplinarity and Big History with the Asian Big History Association and J.F. Oberlin University (Tokyo). The connection between interdisciplinarity and big history was no accident. SSLA is the first undergraduate programme in liberal arts in India (2011), with interdisciplinarity being central to its mission. In this way, big history is seen as a form of super-interdisciplinarity, one that reflects the progressive and innovative nature of its work. The IABH works cooperatively with the International Big History Association and the Asian Big History Association. 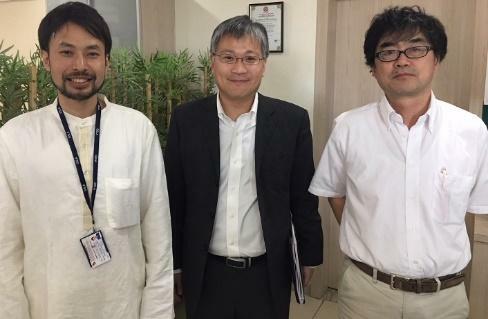 In 2020, the three organizations will combine efforts to host the first IBHA conference in Asia (see the accompanying details). SSLA works in partnership with J.F. Oberlin University in Tokyo to co-sponsor international peace centres. Our two universities are also where the two first courses on big history were offered in Asia – at Oberlin in 2016 and at SSLA in 2018. In this way, we have linked big history to contemporary issues. 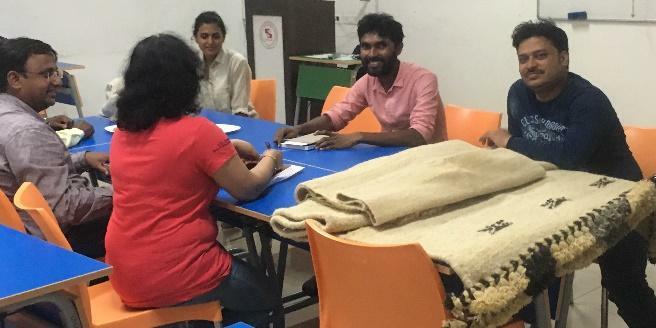 The SSLA Collaborative for Asian Anthropology (CAA) works with to establish meaningful work relationships with community-based groups throughout India, Asia, and beyond. These partnerships have a commitment to strengthening people, their communities and their heritage, as well as their links in the wider world. 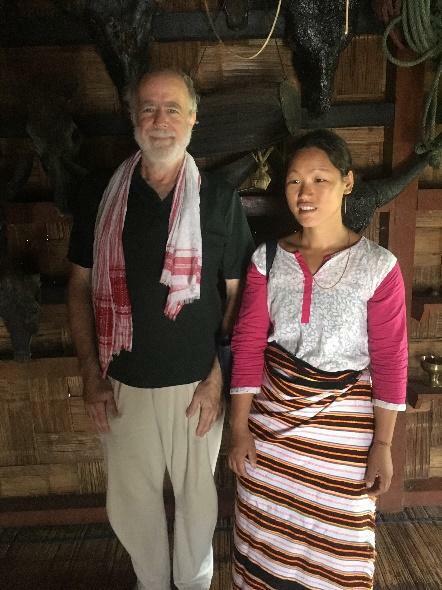 Working for community partnerships, SSLA anthropologist Barry Rodrigue and Mishimi craft-weaver Ashamla Karap in Jiro, Arunachal Pradesh, 24 June 2018. These partnerships include internships, research projects, infrastructure development, enterprises, and other forms of engagement. They involve not just students, but faculty and staff as well. As a result, not only is a needful educational project accomplished, but it empowers local folks and SSLA’s connection to its community base. Furthermore, it provides linkages for the wider Symbiosis community, across our many campuses. In respect to interns, these projects are more intensive experiences than a regular student project. They require an advanced skill-level and a larger time-commitment, as well as work out-of-station. Therefore, high-achieving and self-motivated candidates will be selected for these internships. For more information, please contact the Faculty-in-Charge – Barry Rodrigue and Afshan Majid at CAA. What follows is a description of some of our community partnerships. Do not contact these organizations directly – student approval and initial contact on the students behalf must first be made by SSLA. Kachchh Heritage Arts Music Information Resources (KHAMIR) is a joint initiative of Kachchh Nav Nirman Abhiyan, the Nehru Foundation for Development, and the Confederation of Indian Industry (CII). It was set up in 2005 as an education, training, demonstration and interpretation facility for craft, environment and heritage conservation under a programme of the State Government of Gujarat in the west of India. 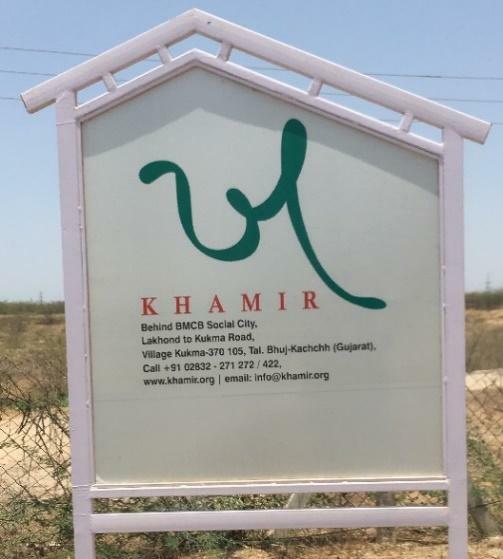 KHAMIR has a campus in Kukma, a half-hour south-east of Bhuj. 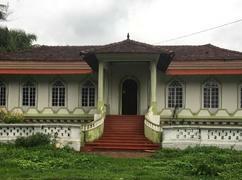 It includes offices, workshops, a craft shop, dormitories, a kitchen, and a dining area. 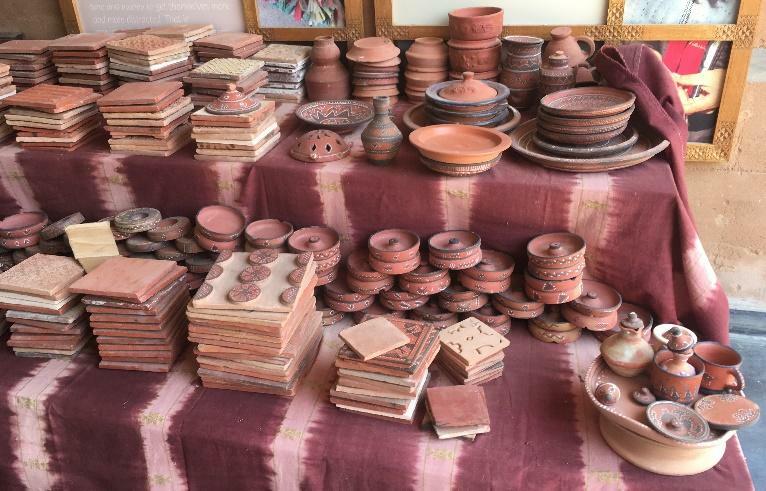 Kachchh lies in the realm of the ancient Indus Valley Civilization, so many of the crafts promoted by KHAMIR descend from this vibrant tradition and its successors. The intermingling of cultural styles is dazzling. KHAMIR has developed a strong relationship with local artisans and facilitates a full range of handcraft activities, ranging from provision of raw materials to promotion of crafts in the market, through a variety of outreach methods. KHAMIR considers it essential to use approaches that address issues of all Kachchh-based crafts with appropriate strategies to help the handcraft sector. 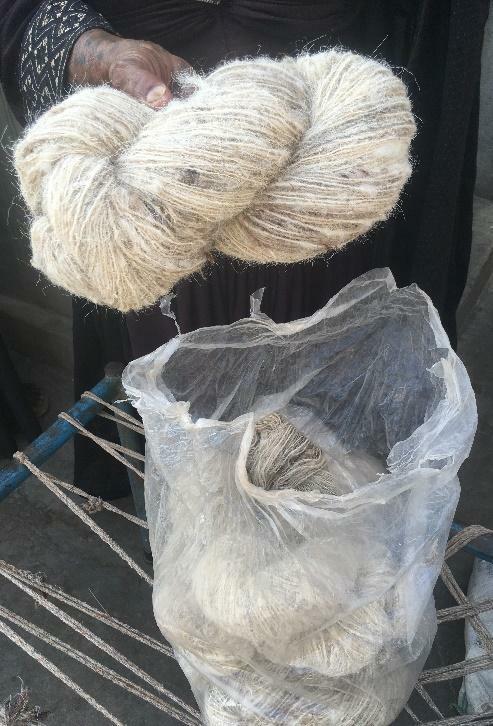 Presently, KHAMIR works with hundreds of regional artisans, including wool spinners and weavers; potters; leather-workers; bell-founders; silver jewellery-makers; rogan, block, bandhni, and batik textile-printers; lacquer-workers, and reha knife-makers. The numbers of cooperating crafts are growing. 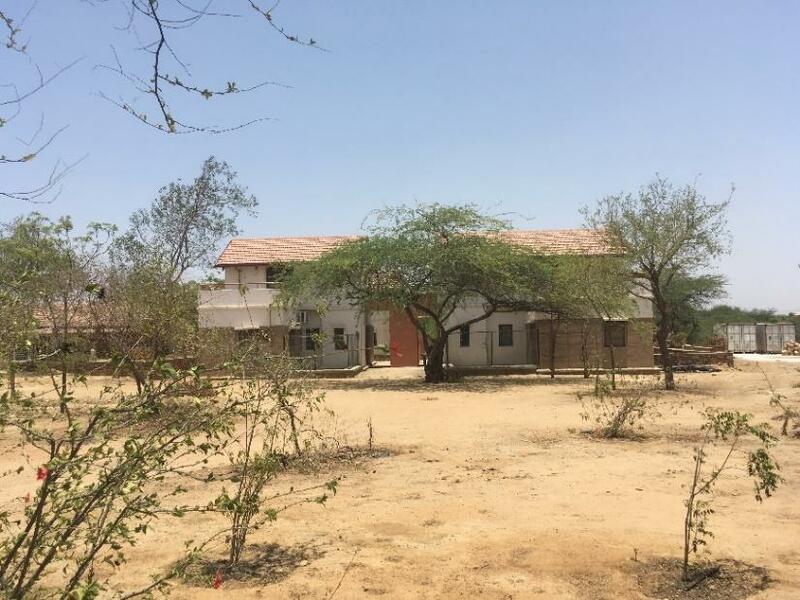 Promote conservation of the environment, natural and cultural heritage, traditional arts and crafts, music, knowledge and skill sets, as well as preservation of sustainable livelihoods by setting up educational, training, demonstration, interpretation, and other facilities in Kachchh. 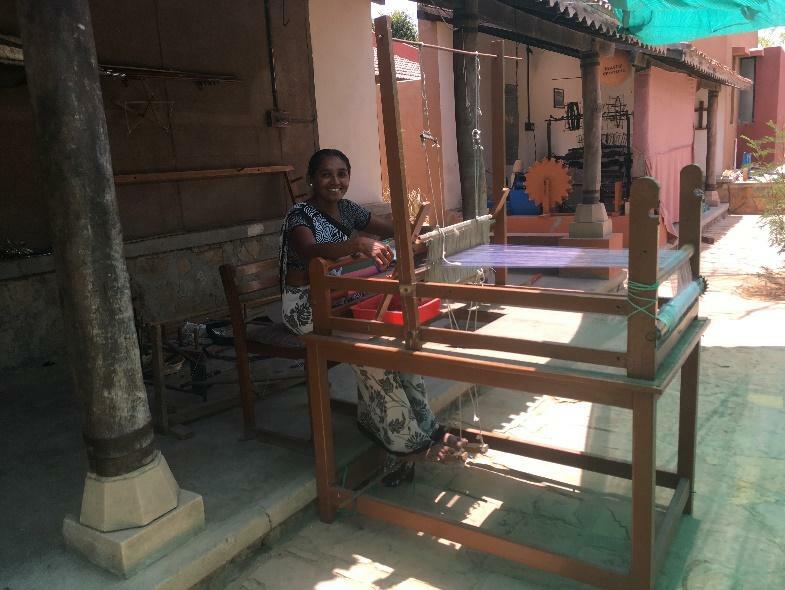 Revitalize, reposition and promote local and traditional crafts of Kachchh in order to generate a viable and sustainable source of income for artisans. Bring under a common roof collective and individual excellence in art, craft and culture, so as to foster conditions to ensure the best creations. Disseminate information on regional traditional arts, crafts and knowledge, as well as to organise discussions on issues related to Kachchh. 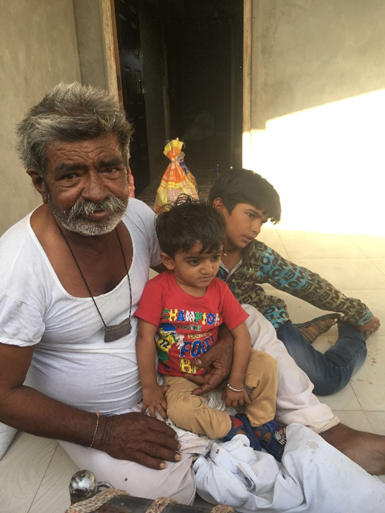 Generating an inventory of the resources, communities, artefacts, books, documents, photos, collections and other material resources at KHAMIR and in Kachchh. Interpreting traditional craft practices as a way to understand process, materials, and skills. Research and study of traditional communities from an anthropological point of view, adding to existing documentation or working on new documentary needs. 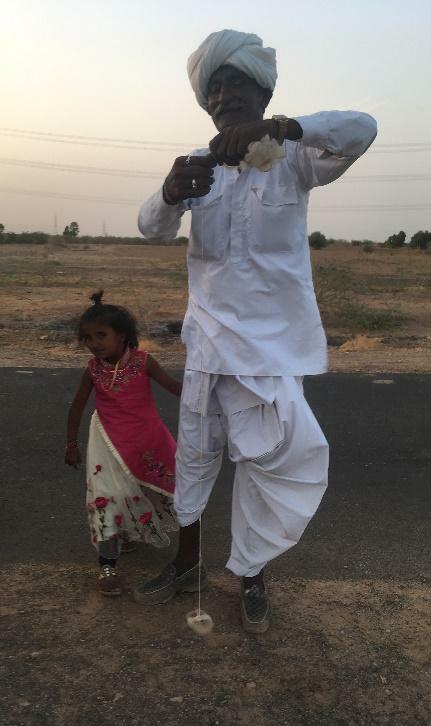 Filming and documentation of traditional communities, processes, and histories of Kachchh. Develop a school curriculum based on craft production and knowledge. 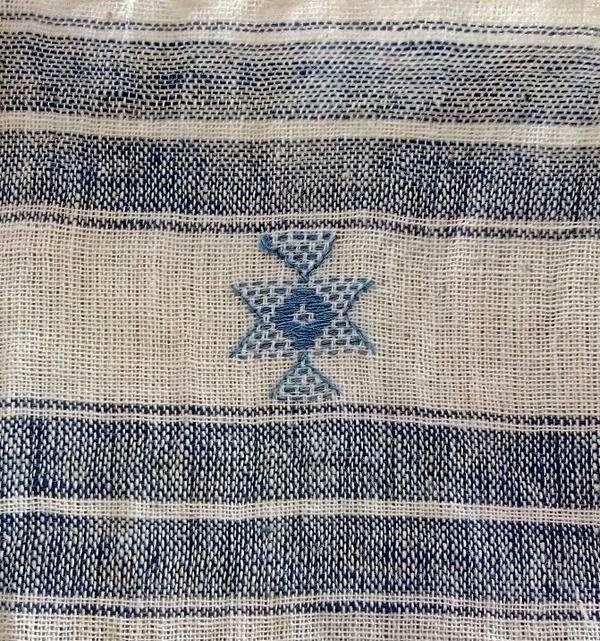 Product development and marketing for traditional craft products. It is thought to be most advantageous for interns to work with KHAMIR for at least 60 days, as there is a learning curve that is needful before new workers can become proficient with the regional needs. 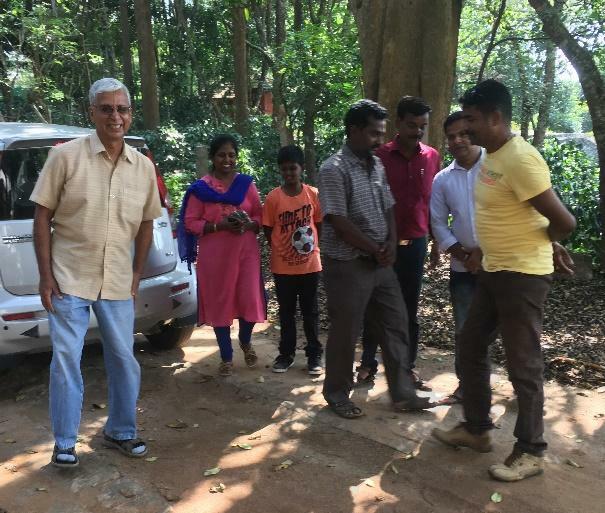 Ganv Bhavancho Ekvott (GBE) works with the people of Chandor and the surrounding area of Goa in a variety of community activities. 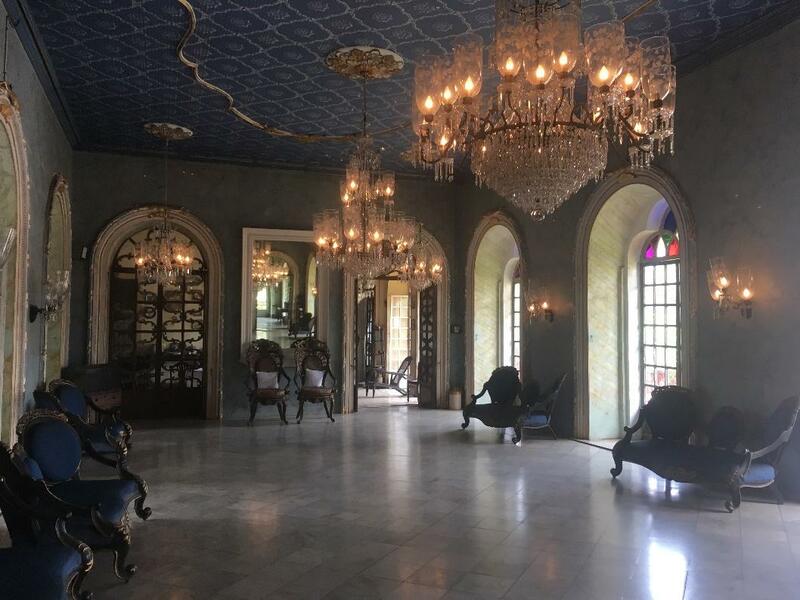 It was established in 2008 by a group of residents seeking to preserve and share their heritage, including artefacts rescued from construction sites, historical documents and photographs, and domestic furnishings. They seek to create personal, social and ecological collaborations that raise awareness of the area’s history and preservation through workshops, tourism and publications. Chandor was earlier known as Chandrapur and had a port on the Kushavati River, which emptied into Mormugao Bay on the Arabian Sea. 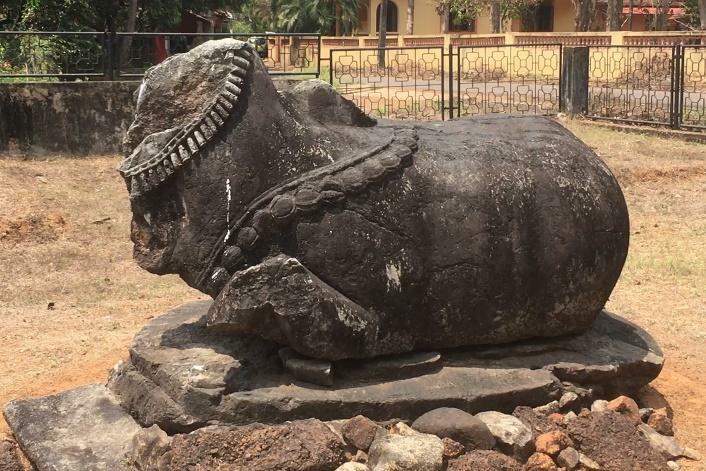 It has been a settlement for at least 2000 years, as part of the Satavahana, Bhoja and Kadamba kingdoms (serving as capital of the two latter), as well as a Konkani-Portuguese centre of trade and settlement. The remains of temples, fortifications and dwellings are in Chandor. The area was surveyed by archaeologist Henry Heras c1929. 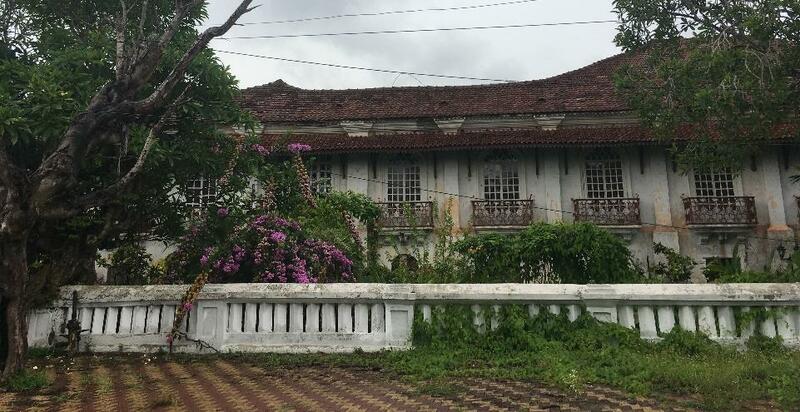 Three historic Portuguese mansions are inhabited, and the resident of one, John Fernandes, was an archaeologist who worked with Heras. GBE is certified by the Registrar of Cooperative Societies, Government of Goa, under the Cooperative Societies Act, Registration No. 85/Goa/2008. 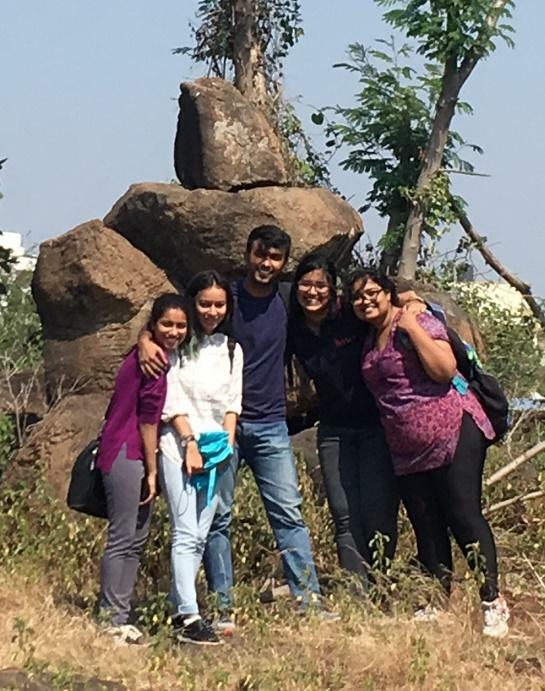 Student interns work on special projects with GBE and in close collaboration with SSLA’s Symbiosis Collaborative for Asian Ethnography. Their primary job will be the development of an inventory of heritage resources in the Chandor area. This will include documentation in a variety of categories, including archaeological, historic and architectural sites; archival materials, such as letters and diaries; photographs and artwork; artefacts; oral history; and other materials. Community outreach through multiple initiatives, such as setting up workshops for staff and community members. Interviews with elders in the community, including those who live in the elder care home. Expressive arts and work on partnership publications by sharing knowledge. Ecological regeneration, sustaining an ecological balance in the neighbourhood through community education, outreach, public displays, and workshops. 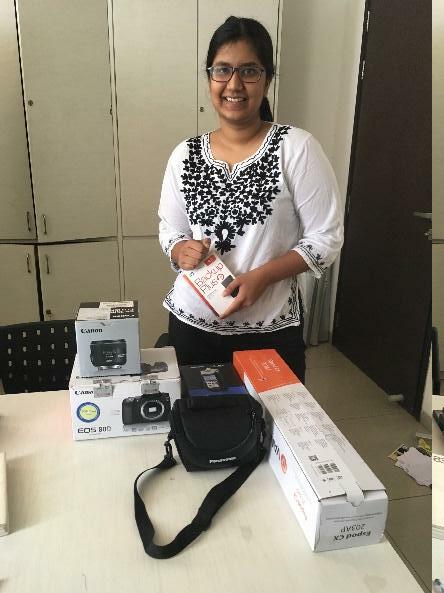 SSLA student Sakshi Saldanha spent a month-long internship in June 2018 with GBE, making an inventory of their materials, as well as doing photo-documentation and oral history interviews. This is an on-going project. This is an on-going project. Interns may work on special projects with GBE. Their primary job will be the development of an inventory of heritage resources in the Chandor area. 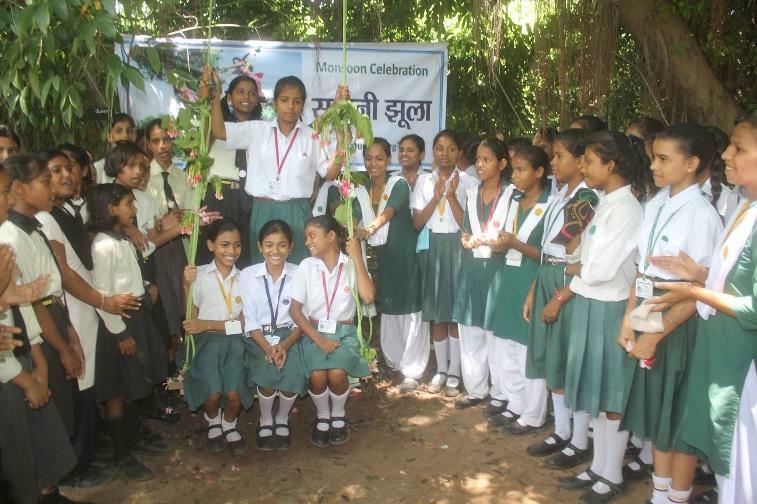 Tarumitra is an NGO based in Patna (Bihar) that focuses on promoting ecological awareness. It started in 1988, when students set in motion the Forum for Environment, which evolved into Tarumitra. 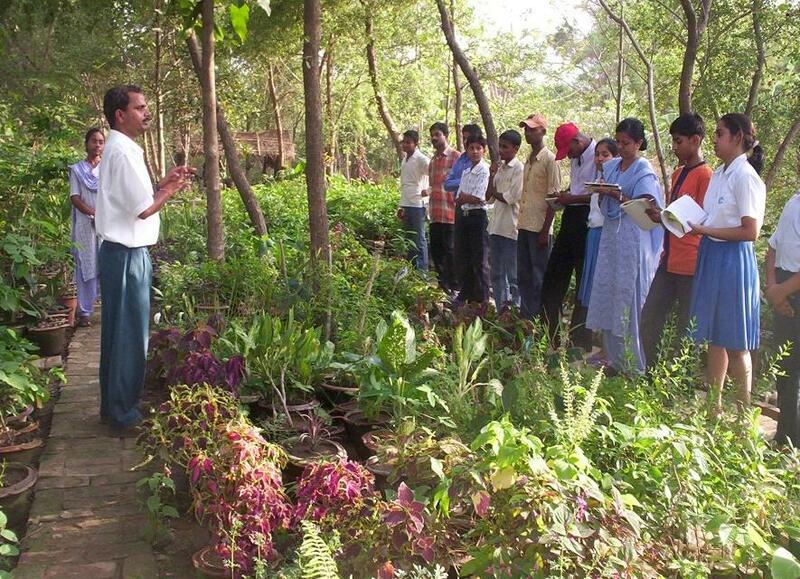 Located in a 12-acre forest planted by the students, this biodiversity hotspot is home to over 450 varieties of trees and plants native to the Ganges Plain. 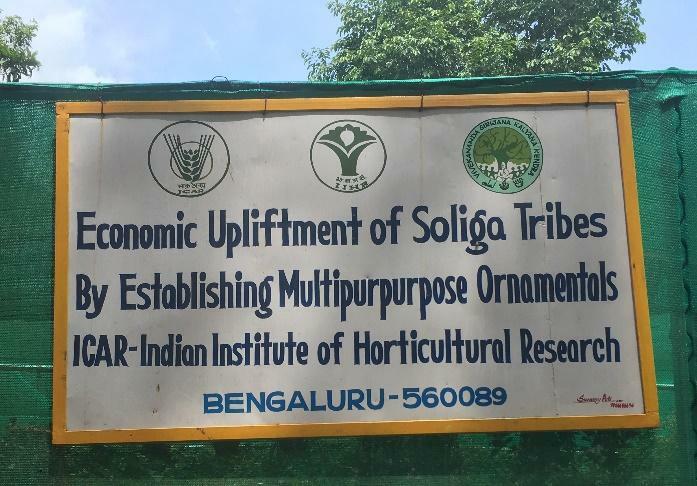 A genetic nursery, students have taken nearly 40,000 heritage saplings and rare plants to propagate in their home areas. 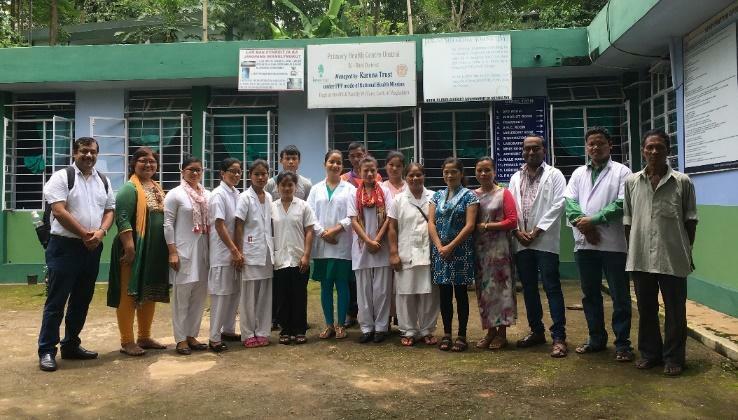 Tarumitra has joined hands with similar organizations to set up bio-reserves like the one in Patna in other parts of the country, and similar initiatives have begun in Gujarat, Meghalaya, Tamil Nadu, Karnataka and Kerala. They also takes part in international summits on environment. In 2005, Tarumitra received Special Consultative Status (ECOSOC) from the United Nations. 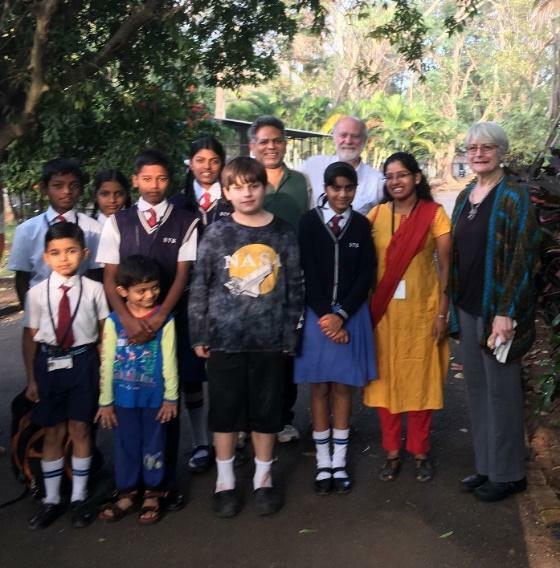 Tarumitra welcomes interns from many universities in India and abroad to work with the school children who participate in the ecological programs. Interns come from 23 of the 29 states of India, as well as from the United States, Belgium, Zambia, Germany, Switzerland, Honduras, Mexico, Ecuador, Panama, El Salvador, Columbia, Guatemala, and Bolivia. 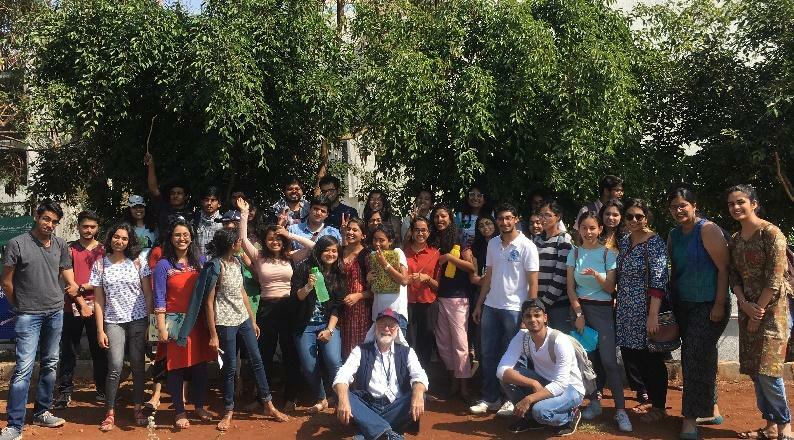 They take short or long assignments in environmental education, organic farming, advocacy, environmental campaigns, and social-media networking. The University of Zamorano in Honduras, for example, sends interns for up to 6 months. Setting up workshops on the theme of Earth-building, which often involves engaging with both scientific and eco-spirituality initiatives. Community outreach to 200+ high schools in Patna for students to come for an eco-exposure program inside the bio-reserve. Ecological regeneration by restoring the ecological balance in local communities. This is done by interacting with neighbourhoods to clean up their environment as well as organize ecological outreach programs. For example, they developed garbage dumps into roadside gardens maintained by schools or plant nurseries. Sustainable, natural and heritage farming practices. 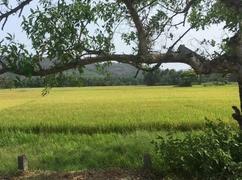 The bio-reserve has 2 acres of organic cultivation of rice, pulses, and vegetables, which is maintained by high school and university students. While there are limited art installations, artists recognize the entire bio-reserve to be an integral and organic expression of nature art. Tarumitra has been organizing Big History workshops regularly since 2005 with teachers and students. 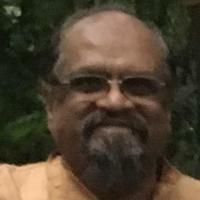 Director Robert Athickal is an active member of the Indian Association for Big History and the Asian Big History Association, and is a founding member of the Multiverse Narrative Network. The Tarumitra campus has accommodation for 50 students at a time, including private rooms for interns working with the visiting students. A dining facility provides fresh food to residents. A 400-bed hospital is close by with which Tarumitra has a healthcare agreement. The railway station is 8-kilometers away and the airport 5-kilometers. In this way, Tarumitra is a very accessible and centrally located. 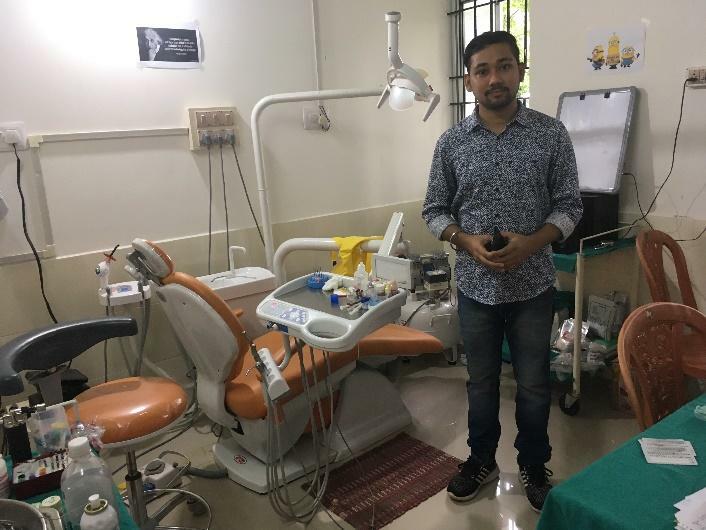 The Karuna Trust (KT) is an NGO that manages healthcare clinics in Karnataka, Tamil Nadu, Arunachal Pradesh, Meghalaya, and Manipur. Established in 1986, it is headquartered in the Biligiri Rangana Hills (BR Hills) in the Chamarajanagar district of Karnataka. Its prime objective is ‘reaching the unreached’. 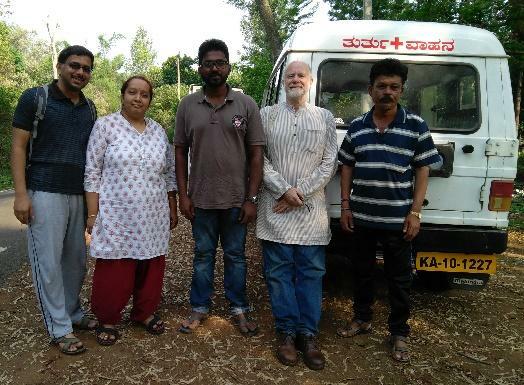 KT serves the communities of India to provide health care to the under-served and the poor people in remote areas. 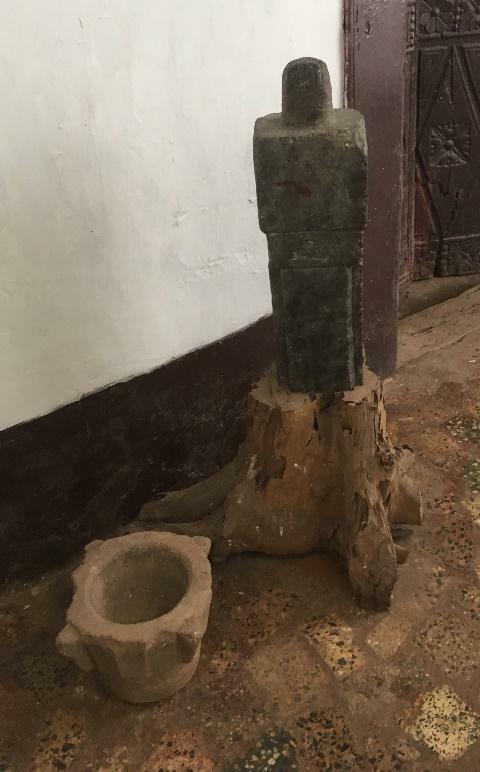 Initially established to respond to the widespread prevalence of leprosy in the Yelandur Taluk region of Karnataka, they were very successful. 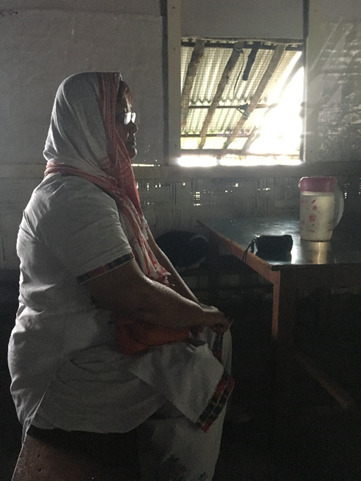 In the course of 26 years, the prevalence of leprosy dropped from 21.4 per 1000 people to 0.28, a testimony to the success of their intervention. Apart from primary healthcare, KT also focuses on dealing with the related issues of education, sustainable livelihood, and advocacy. It is affiliated in its work with Vivekananda Girijana Kalyana Kendra (VGKK). 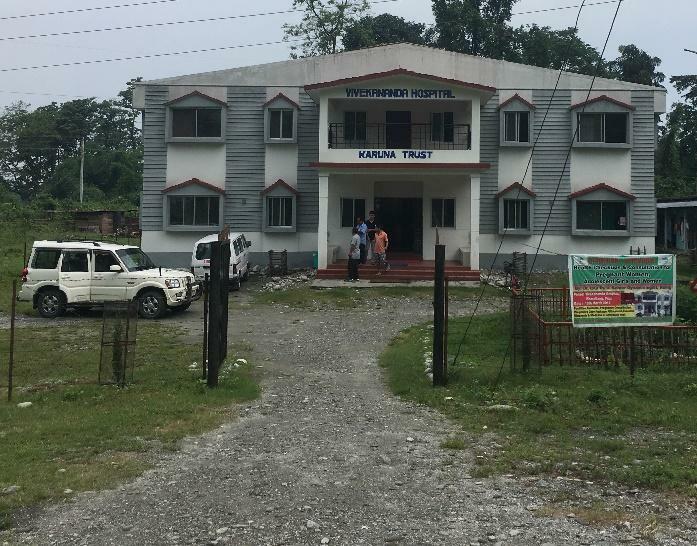 KT not only manages its own care facilities, it has taken on management contracts for government agencies in Karnataka, Arunachal Pradesh, Meghalaya, and Manipur. This work includes support for resident health aides in villages, visiting nurses and social workers, clinics, primary health centres, and hospitals. This outreach is often challenging. Villages are scattered and remote. 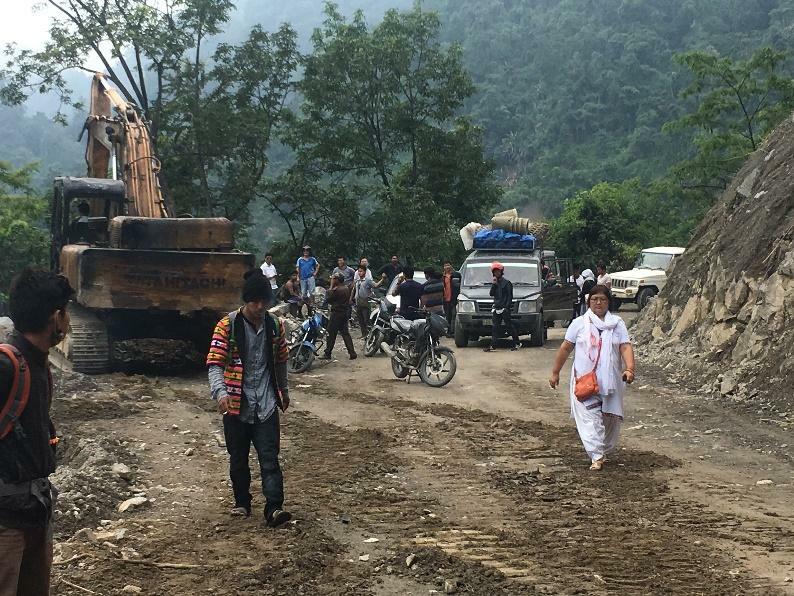 Providers and patients often must travel over dirt roads and along trails that are subject to washouts and landslides during the monsoons. But the ability to serve the most needful and help them in self-empowerment is of high achievement. 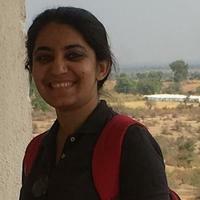 Karuna Trust seeks to engage student interns with special projects. This could involve internships in medical services or health education. It could take place in Primary Health Centres in Karnataka, Arunachal Pradesh, Meghalaya and Manipur. In addition, we have shared this opportunity for internships with the Symbiosis Institute for Health Sciences. 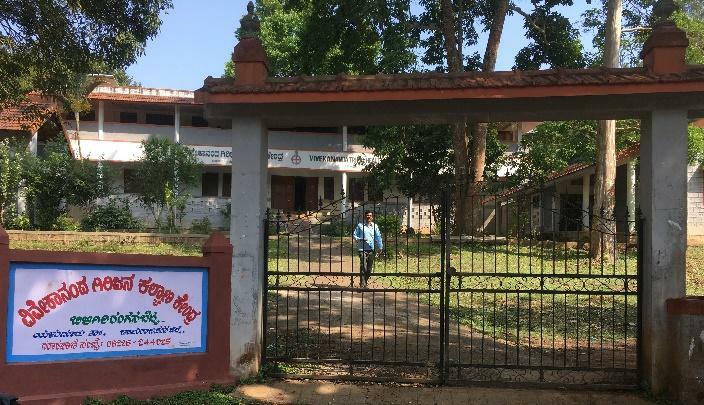 Pipal Tree / Fireflies Intercultural Centre engages people in community activities such as empowerment of tribal peoples, dryland farmers and Adivasi children through programs like Children’s College, Food Sovereignty, and Livelihood Sustainability. It seeks to create personal, social and ecological symbiosis that leads to sustainable development practices. Previous development was concerned with inclusive approaches that underscored social justice, but, today, we have the added the challenge of climate change. We realise the survival of the human species demands that we immediately adopt a nurturing and respectful attitude to our planet. 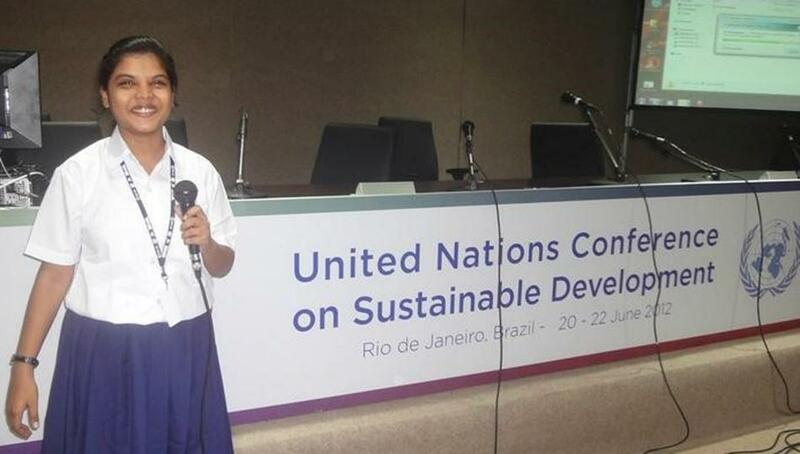 This calls for a new vision of sustainable development. 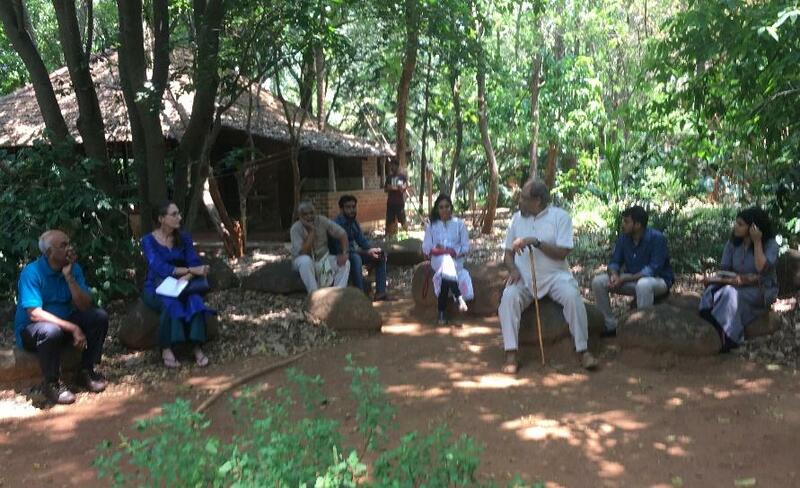 Pipal Tree was established in 1984 by a group of alternative development practitioners and socially engaged thinkers. 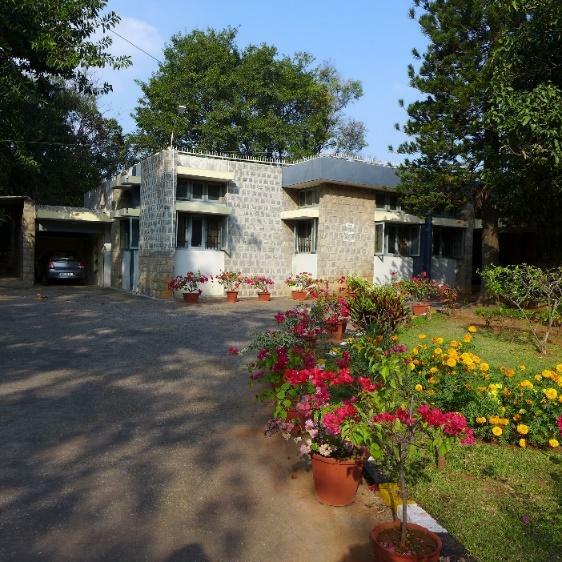 Our office is located in an ecologically inspired setting, 30-kilometers south of Bangalore. We have residential apartments, a dining hall and an auditorium where up to 100 people can conduct workshops and interactive sessions, along with other facilities. 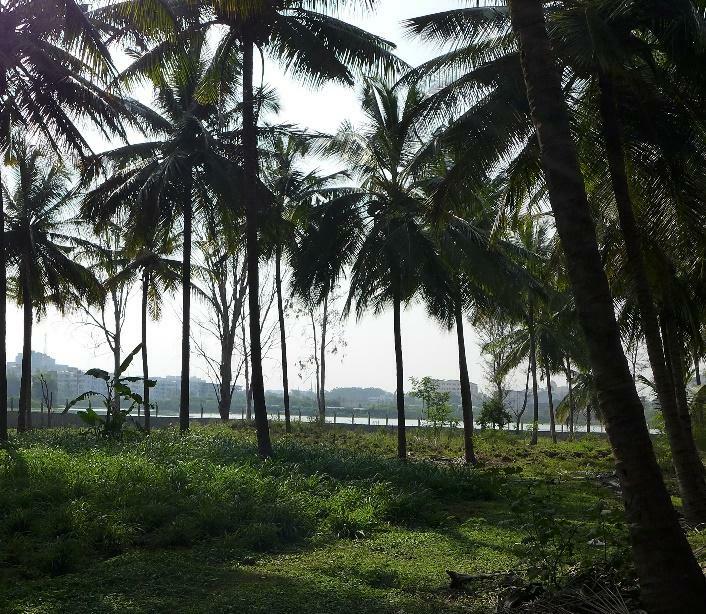 Our campus of 10-acres is filled with plants, trees, birds and sculptures on the theme of eco-spirituality, which narrate a story of a diverse yet holistic ecosystem. 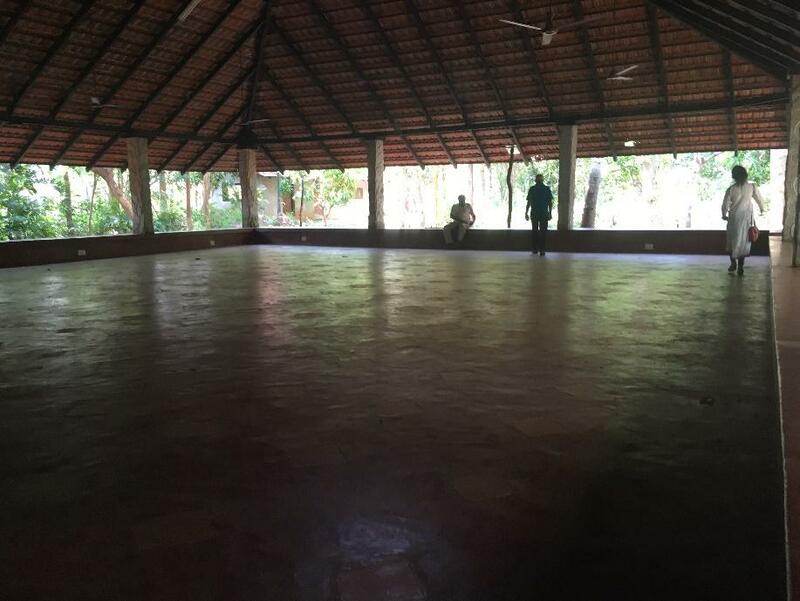 This organizational setup and infrastructure is maintained by 40 staff members, including our field office in Kabini, Karnataka. Setting up workshops with the staff to foster team bonding, interactive workplace dynamics, channelling passion into work, etc. GRAIN Global Rural Adaptation Initiative. Climate South Asia provides a forum for critical discussions on different aspects of climate change. It seeks to encourage dialogues on the way climate change is likely to affect our region. 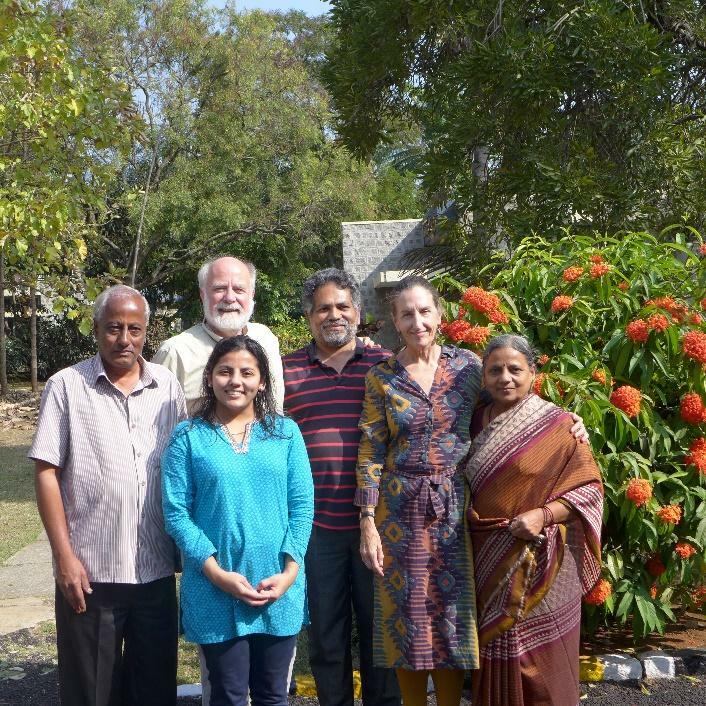 Children's College is a learning community at the Nagarhole forest area near Mysore (4-hours from Bangalore). 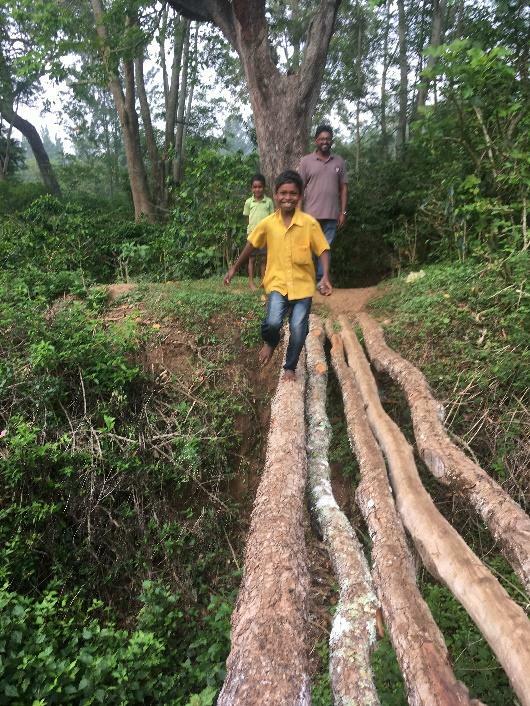 This community provides a sanctuary for Adivasi children whose parents’ lives were disrupted by the construction of the large Kabini water reservoir and by forest conservation laws that assert human beings who live in the forest are a threat to flora and fauna. Meeting Rivers: A global peace forum for inter-religious and secular initiatives. 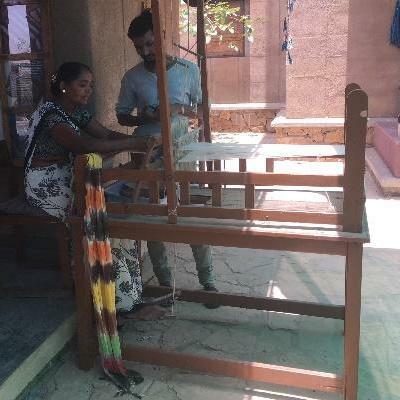 Livelihood Sustainability Project helps to set up means for livelihood through existing skills among Tribal communities and amplifying incomes for the farmer community. Ecological regeneration, sustaining an ecological balance in the neighbourhood. Expressive arts and work on partnership publications by sharing our knowledge gained through international dialogues held every February, as well as our fieldwork. 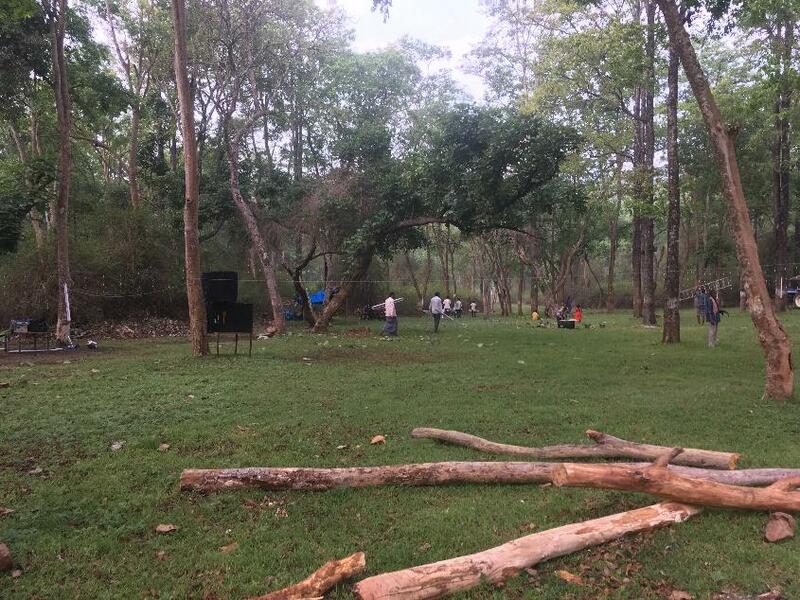 Pipal Tree works with students on social and environmental issues. Educational programmes are regularly conducted. 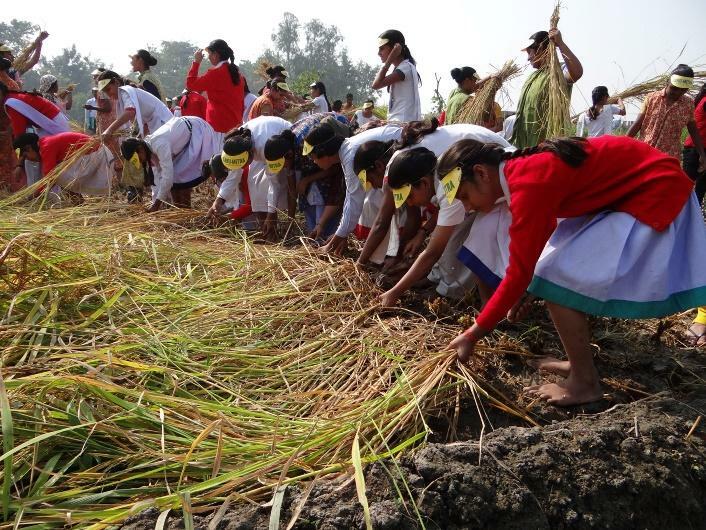 These programmes are organized around the themes of critique of development, social and environmental empowerment and Indian culture and social life. 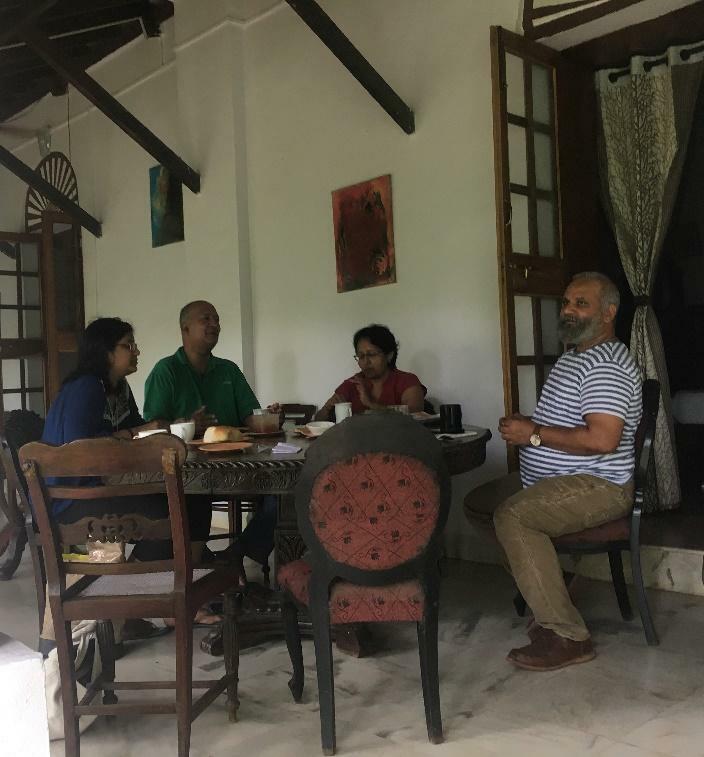 Their director, Siddhartha, also is a co-coordinator of the India Association for Big History, which is based at SSLA. 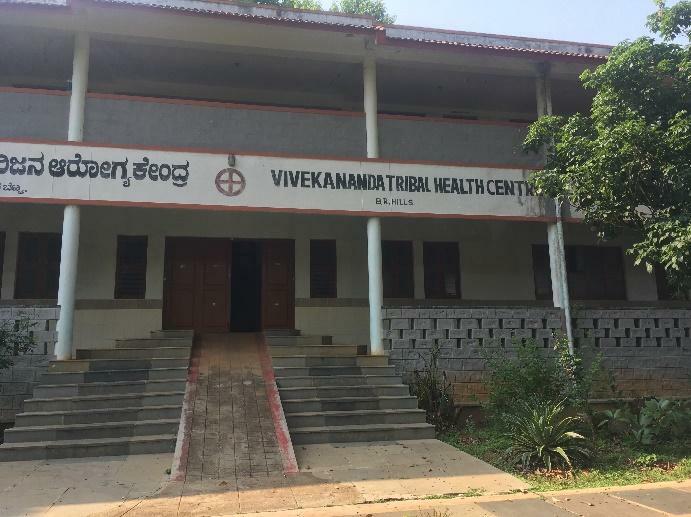 Vivekananda Girijana Kalyana Kendra (VGKK) is an NGO committed to holistic and sustainable development for tribal people. Founded in 1981, VGKK was begun by Dr. H. Sudarshan and is based on the holistic and integrated teachings of internationally renowned educator Swami Vivekananda. 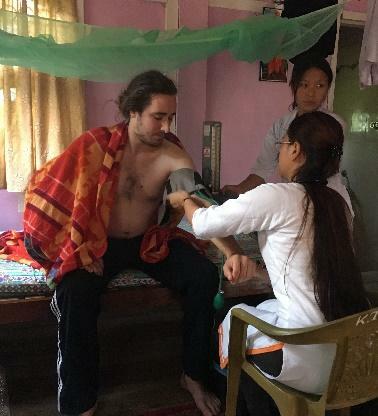 It works in cooperation with the medical NGO, the Karuna Trust. At the centre of VGKK’s mission is the socio-cultural background and rights of tribal peoples. Tribal people constitute 8 per cent of the population of India. VGKK’s work focuses on developmental projects with the Soliga and other tribes in the Chamarajanagar and Mysore districts of Karnataka, as well as with other tribal groups in Tamil Nadu, Arunachal Pradesh, and the Andaman and Nicobar Islands. VGKK employs an integrated approach of health, education, good livelihood, biodiversity and conservation to achieve sustainable development and empowerment. 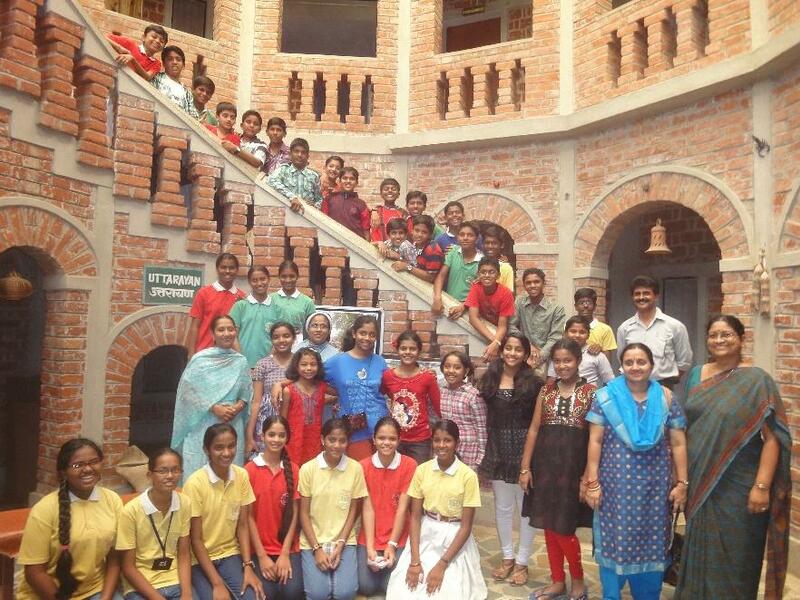 Among their activities, VGKK provides education through an India-wide school system. 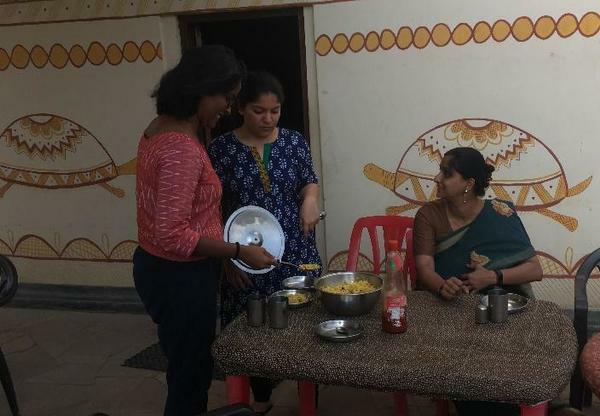 In their BR Hills campus, they recently worked with the government to install a playground that teaches physics, which provides a continuity between the classroom and a child’s ‘real world’. 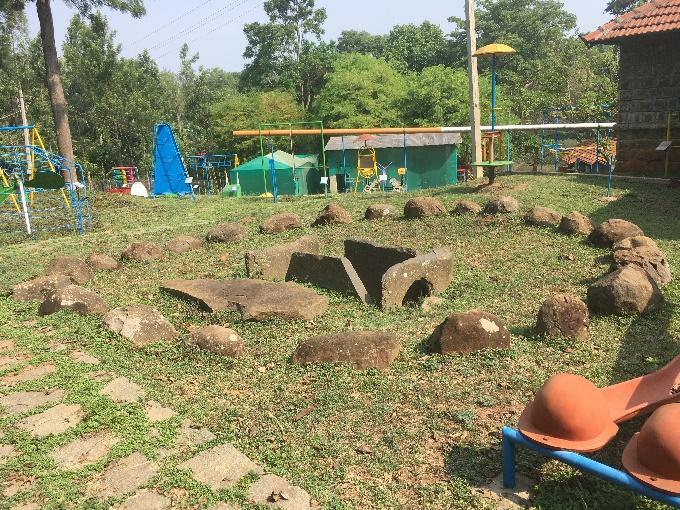 This innovative playground is built around a 4000 year-old megalith, further emphasizing our continuity and engagement with the wider world. VGKK also encourages craft production and training. 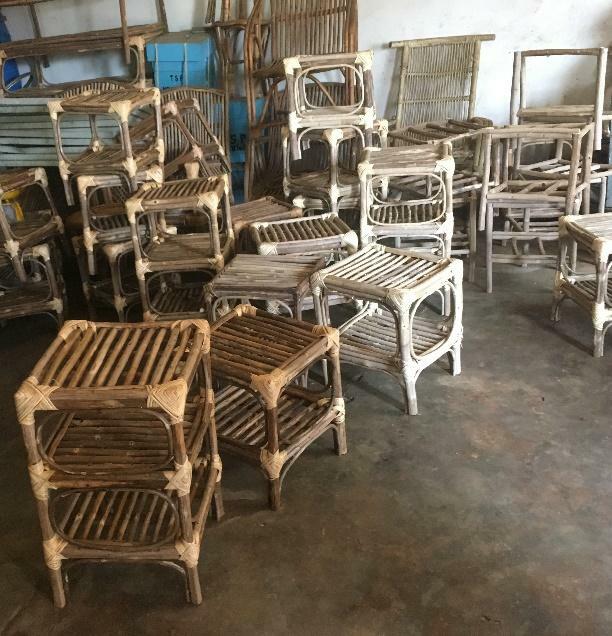 Among their initiatives, they manage horticultural projects and produce items crafted of materials from tribal areas by the tribal people, such as honey, wooden furniture, clothing, and incense. 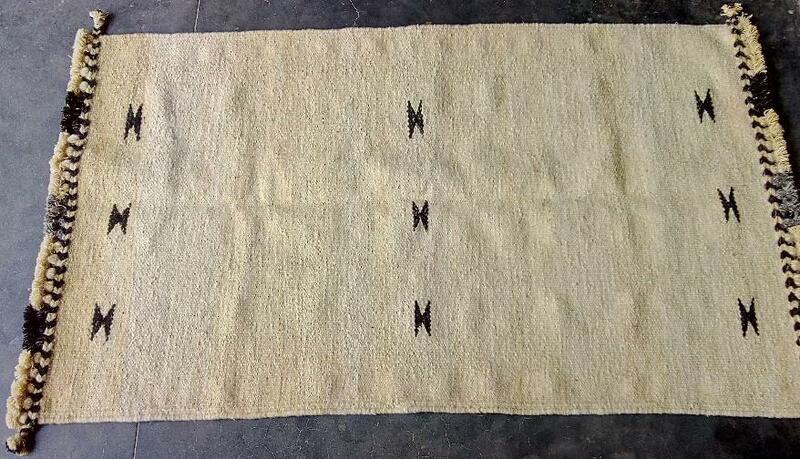 A central part of their philosophy is on sustainable practices and on tribal empowerment. 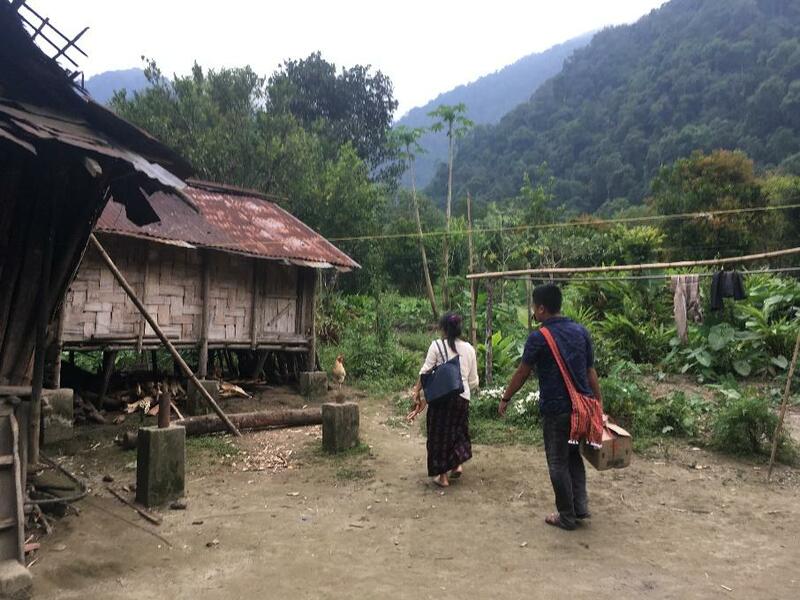 This is evident in their program to bring together forest agencies and tribal people to cooperate in sustainable management of ecosystems by tribal residents of the forest. In its cooperation with SSLA, VGKK would involve students to work on special projects. This could involve internships with schools, community development and outreach, and craft production. The Ecumenical Christian Centre (ECC) engages people in community activities, irrespective of caste, creed, geography or race so that peaceful, harmonious and sustainable communities can evolve. It seeks to empower the next generation of leaders with ideas, strategies and styles so that socialization and planetization can be achievable, eliminating the drawbacks of market forces, technological developments and steam-rolling globalization. It seeks to encourage participative, give-and-take, dialogical communities where younger generations have more roles to play in evolving malleable, harmonious communities that share resources and know-how, and grow together as a world community through the networking of consciousnesses. 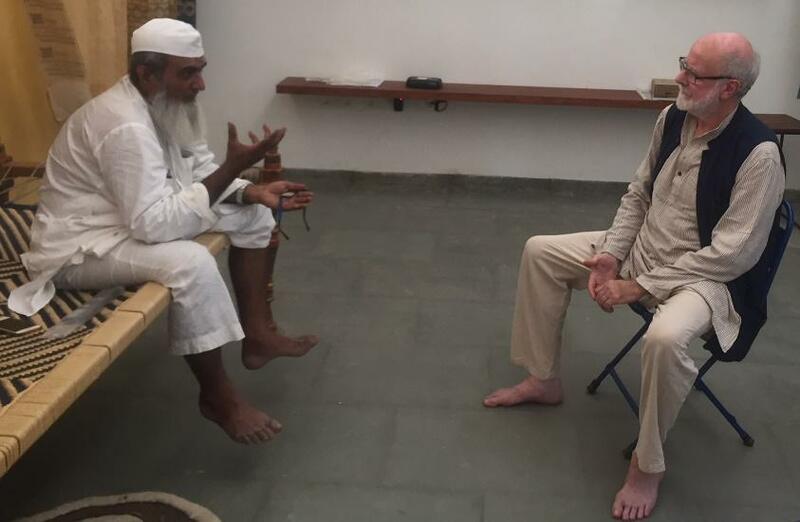 The ECC has an auditorium where more than 300 people can be accommodated as well as 30 houses for 200 people in a salubrious ecological paradise of 30 acres, filled with plants, trees, birds, domesticated animals and other brethren of the Earth. 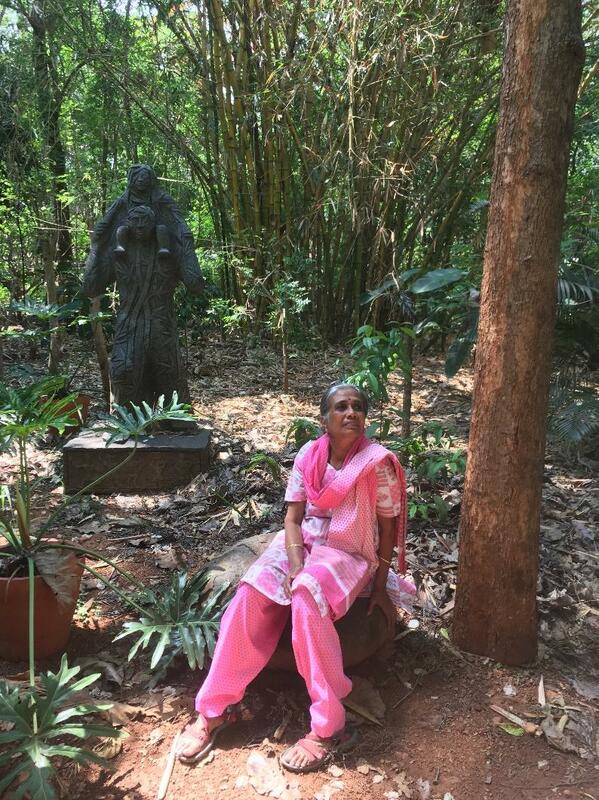 This haven is maintained by 70 staff members from all over India. 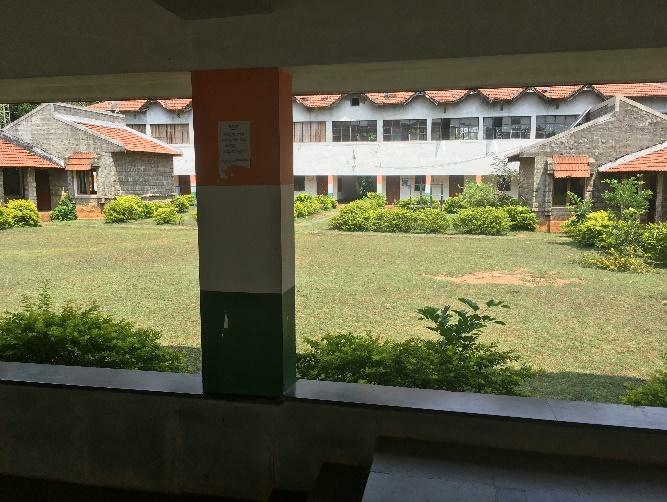 The IT hub of Bangalore is at a distance of a stone’s throw, along with many educational institutions and social-networking groups in the neighbourhood. Setting up workshops on the theme of the ECC’s educational focus of STAR (Science, Technology, Art and Religion). 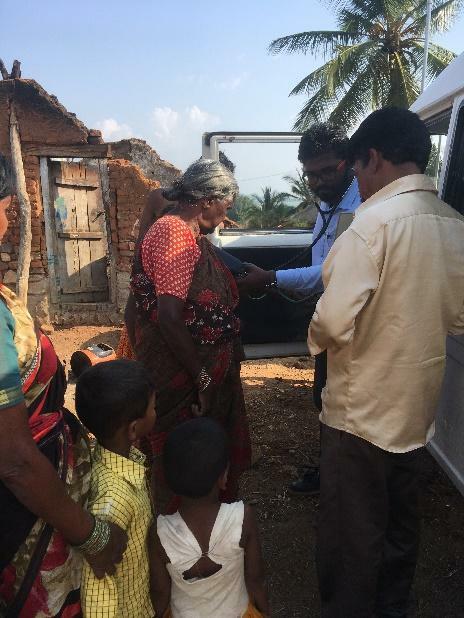 Community outreach in the Bangalore area and throughout Asia. 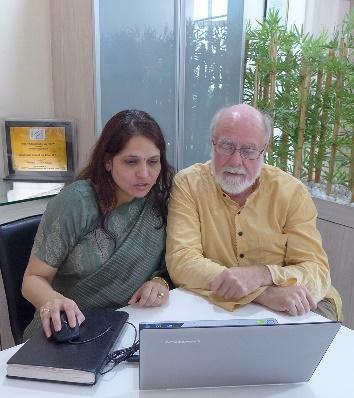 Setting up training programs in leadership management for business expatriates in Bangalore – from the USA, UK and from around India and South Asia. Interfaith dialogue and spiritual communities. These includes Tibetan Buddhists, Hindu communities, Art of Living, Protestant, Catholic, Secular Humanists and others. Ecological regeneration, sustaining the ecological balance in the neighbourhood and interacting with neighbourhood communities. Evolving and expressing practical philosophies from the lived experiences of people and creating psychological skills and strategies for eliminating fear, anxiety, and other illnesses. 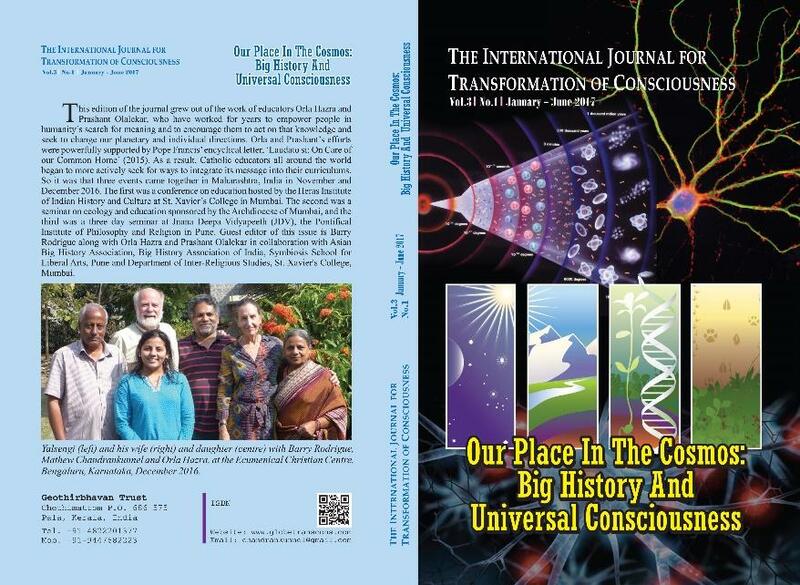 SSLA and the International Journal for the Transformation of Consciousness cooperated in the special edition of Big History and Universal Consciousness, vol. 3, no. 1, June 2017. ECC Director, Mathew Chandrankunnel, CMI, PhD, is editor of the IJTC and an active member of the Indian Association for Big History, which is based at SSLA. 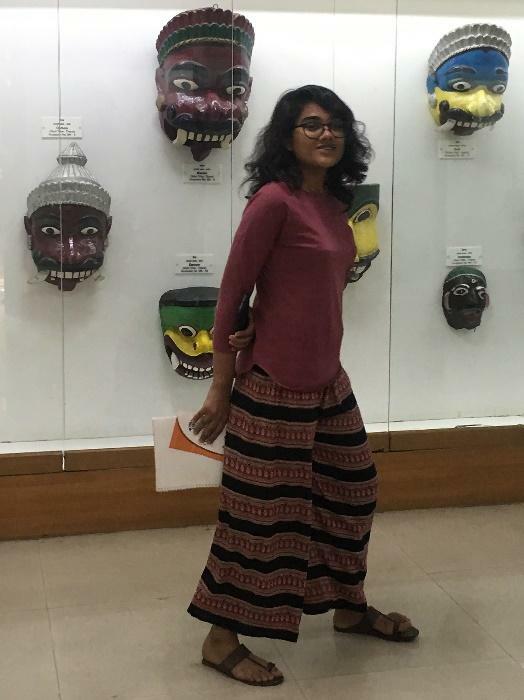 The SSLA Collaborative for Asian Anthropology (CAA) is an extension of the Anthropology and History Departments at SSLA. Faculty and students work together to collaborate with public and private agencies and individuals to document social and cultural heritage throughout the region. Begun in the autumn of 2017 as a faculty-student endeavour, projects were started in our region of the Sahyadri Mountains and adjoining areas of the Konkan Coast and Deccan Plateau. In addition, the faculty have their own on-going research projects. 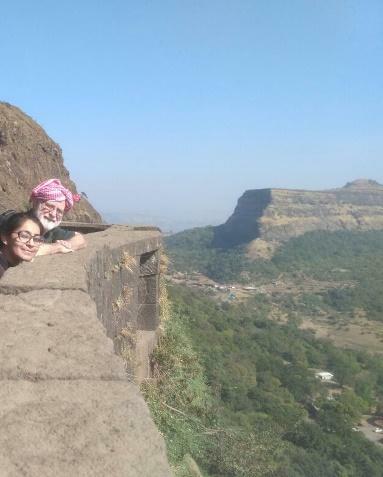 Barry and Afshan at Lohagad Fort, October 2017. 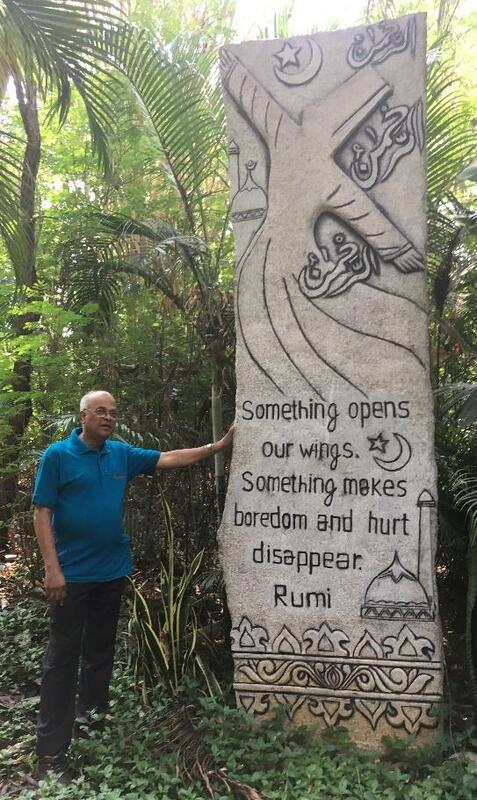 Barry Rodrigue in Soliga tribal territories, Biligirirangana Hills, Karnataka, May 2018.